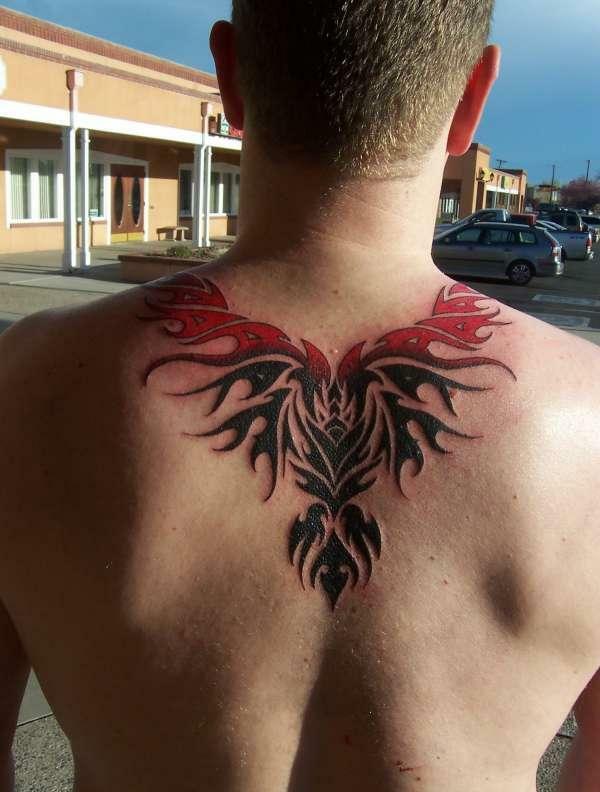 The phoenix is also a great material for tribal tattoo, if you like those. The feathers can look especially cool in minimalist style, and the best part that it’s a relatively cheap and easy to make, and looks good on almost every part of the body. 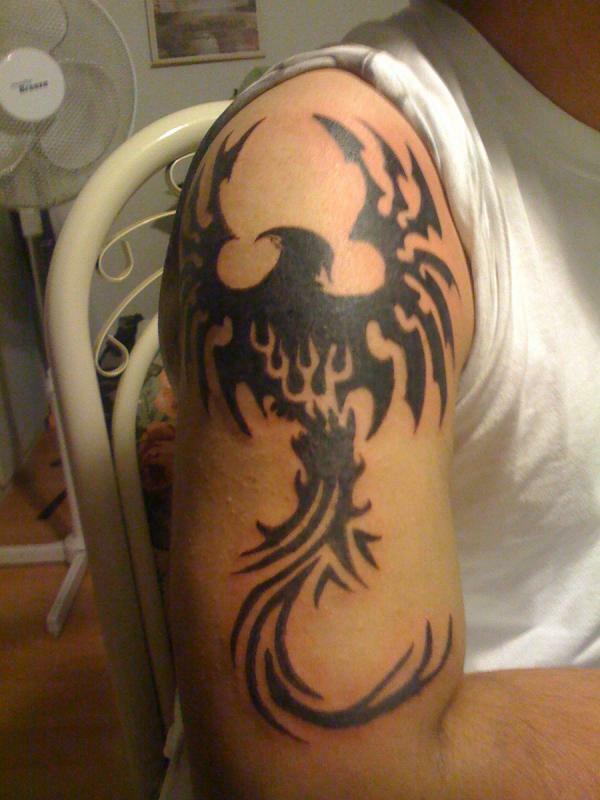 Here’s another great example of a phoenix tattoo in tribal style. 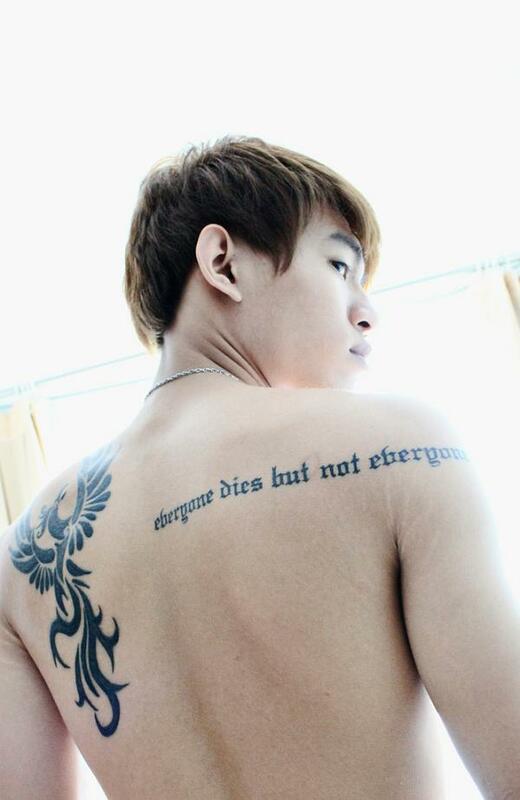 If you want a bigger tattoo like that, it’s highly recommended to choose the back, your sides or chest, since you have more place, and therefore more options. You can even make it more interesting with various symbols you like. A tribal phoenix tattoo can be great if it’s done well. Although it looks rather simple, it’s still not easy to make, so don’t just go to any random artist. Choose a tatooist who really understands your preferences and style, so you can have a Tribal Phoenix Tattoo that you really like. After all, you don’t want this to be bad, do you? 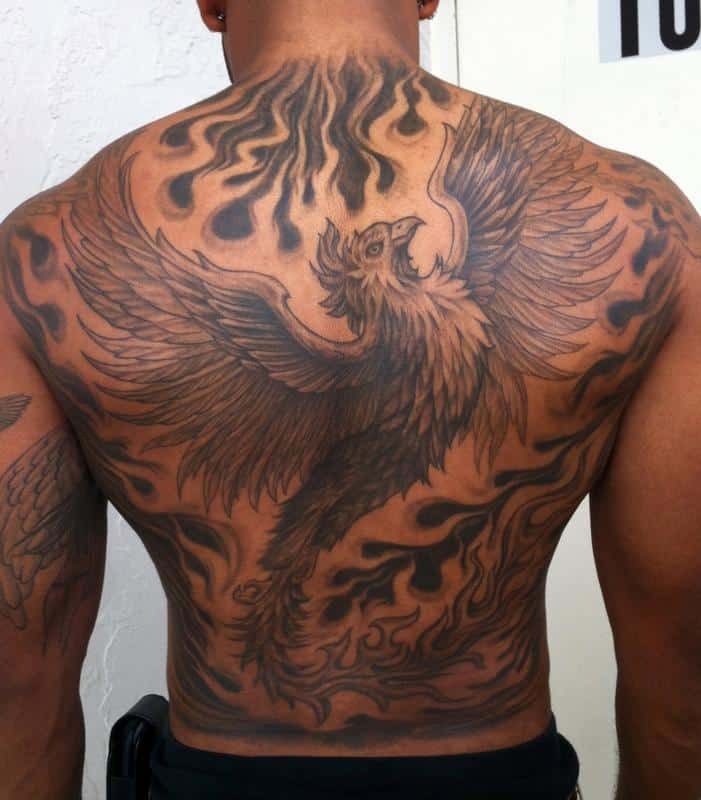 In our opinion, a phoenix back tattoo is the absolute best! You basically have limitless options, which is great if the money is not a problem for you. Not to mention that it’s also great for the artist who makes your tattoo, since it’s usually easier to work on a bigger surface like on the chest or the back. The rest is up to you, just make sure you go to the right tattoo saloon, so you won’t be disappointed with the results in the end. Just imaegine having a phoenix tattoo on your back. Wouldn’t it look cool? Of course it would! Although most people want a simple black version, you don’t necessarily choose this option. You can choose from tons of different colors, and you don’t have to go with only one. 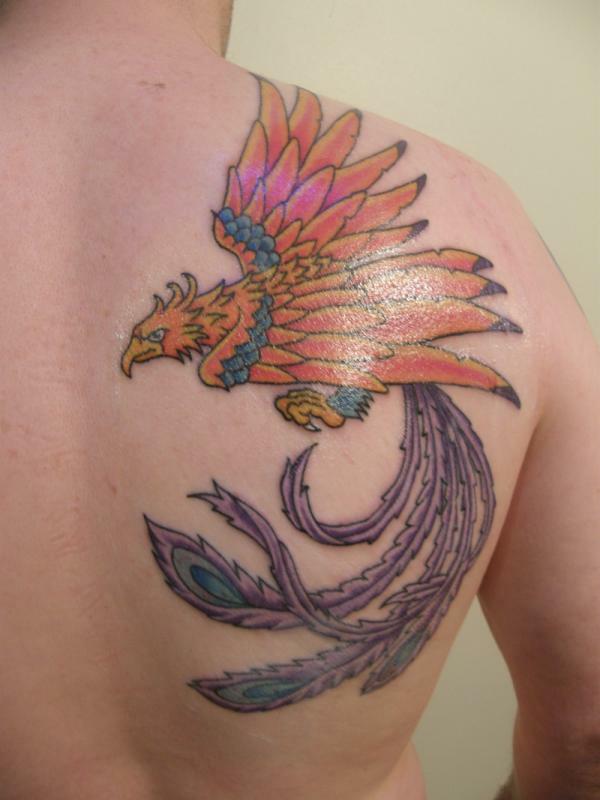 Some of the coolest phoenix tattoos have all kinds of colors, like red, yellow, or even blue. Would you rather have a phoenix tattoo on one of your arms? You don’t have to hesitate, since it’s also a great choice. If a phoenix tattoo sleeve piece is done right, you will have a lot of praising words even when you go out to the street. However, you have to remember that the tattoo will be on a quite visible place, so if you go to places where they don’t like this, it’s recommended to choose another body part. 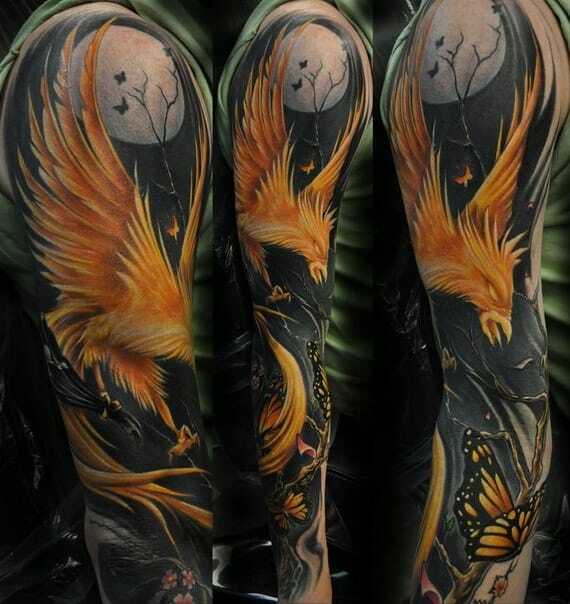 A phoenix sleeve tattoo can look really cool and special if it’s done right. It’s a bit harder to make a phoenix tattoo on the arms, but if you find a good artist, the result can be awesome. 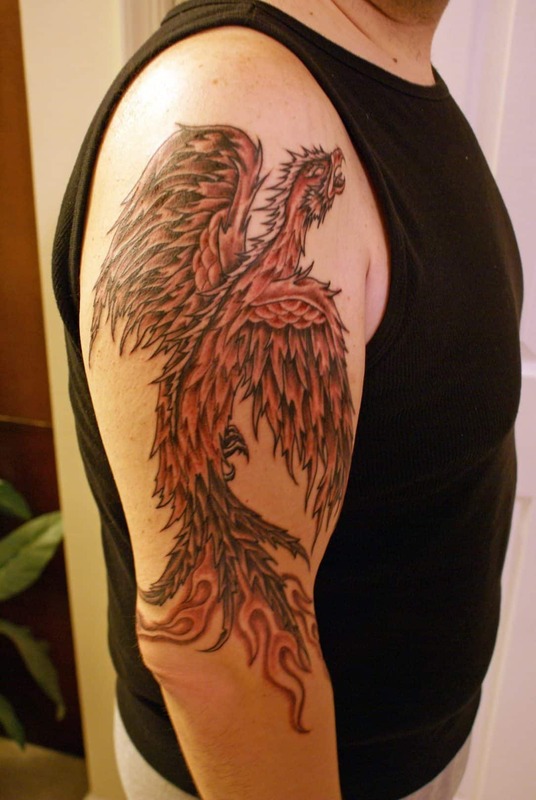 In most cases, a phoenix sleeve tattoo is simply black, but the red is also a popular and great option. If you want something more unique, choose some extra colors like yellow or blue. Phoenix sleeve tattoos are getting more and more popular each year, and there is a good reason for that. Not only it looks great, the phoenix has a lot of different meanings, so it’s basically impossible to not find one symbol which fits you. 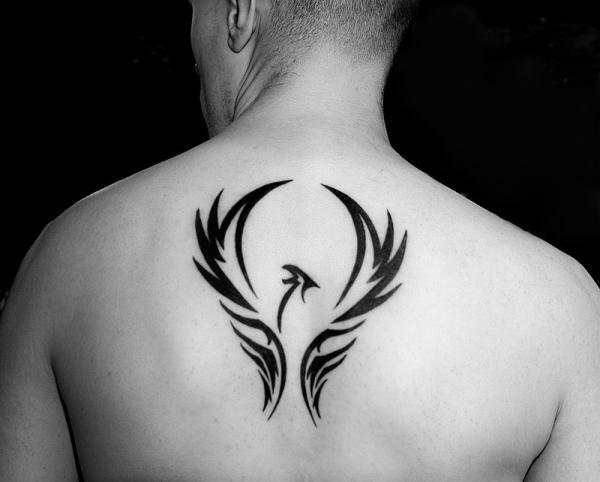 Therefore, the phoenix became a common choice for the tattoo fans. 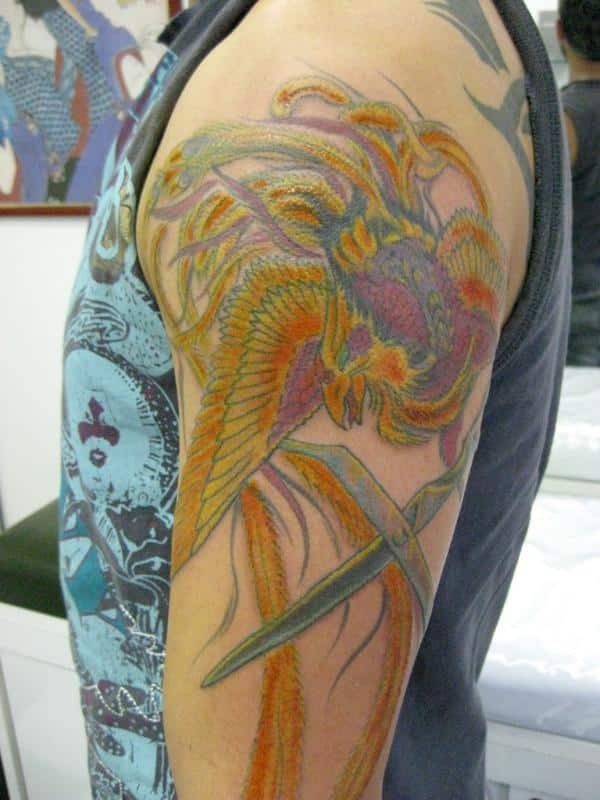 Are you looking for phoenix tattoo images on the web? Well, if you don’t find what you’re looking for on Google, you should just check out this post, we’re certain that you will find something that you like, whether is tribal tattoo, chest tatto, back tattoo or something else. If you a have a tattoo saloon near your, it’s recommended to visit, since there is a big chance that the artist can show you some great phoenix tattoo images. 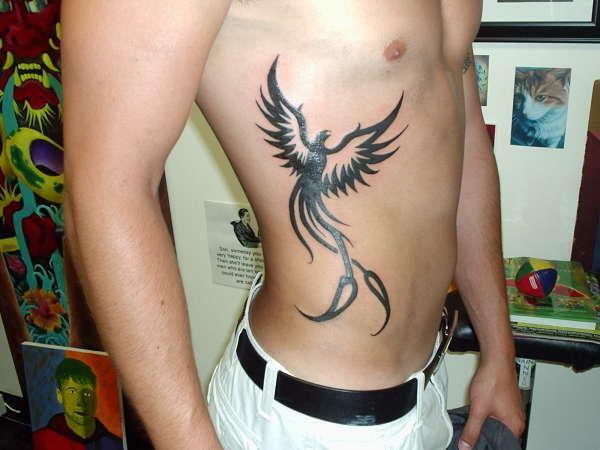 If you’re looking for various phoenix tattoo ideas, then you’re at the perfect site. We collected a lot of great phoenix tattoos, so you can instantly start selecting the ones that you like the most. We really recommend you to choose more than one, and not just in one stlye. For example, there are great colored and simple phoenix tattoos, and you may not know if you want one until you see it.